Goa CM Manohar Parrikar travelling to US tonight for medical treatment - Integration Through Media ....! PANAJI: Goa Chief Minister Manohar Parrikar will travel to United States of America (USA) tonight for medical treatment. Yesterday, Parrikar had informed that he might travel abroad for curing his medical ailment. In a video message, Parrikar stated that he would travel abroad, depending on the advice given to him by the doctors here, and also thanked the natives of his state for their well wishes at his time of recovery. Before heading to Mumbai, Parrikar yesterday called a meeting with Chief Secretary, Dharmendra Sharma and Principal Secretary to CM P. Krishnamurthy and formed a cabinet advisory committee to take administrative decisions in his absence. 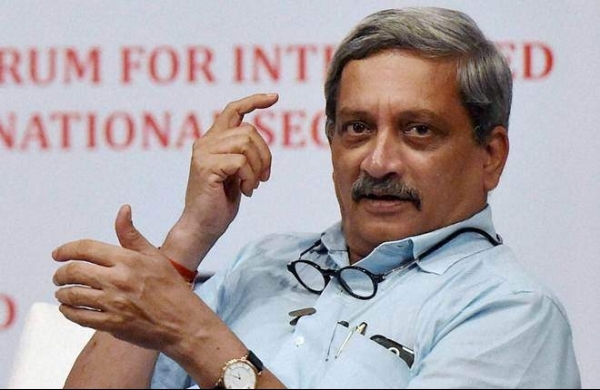 On a related note, Parrikar was hospitalised at the Lilavati Hospital in Mumbai on February 15 following mild pancreatitis problems and was discharged from there on February 22.